Furry pets on a leash and strollers welcome! This location will have a Camp Got2Go Kids Zone which will feature Camp Got2Go-inspired activities. It’s a chance to meet other kids taking on Crohn’s disease or ulcerative colitis, and get a taste of Camp Got2Go, an overnight camp for youth living with inflammatory bowel disease. Cures for Crohn’s disease and ulcerative colitis are steps away. Join us on Sunday, June 2 at our 24th annual Gutsy Walk to walk, jog or run with us towards a future free from Crohn’s and colitis. 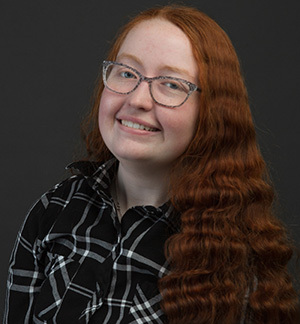 My name is Kaylyn Heine, and I was diagnosed with Crohn’s disease when I was 11 years old after months of test, false answers, and hospital visits. I was happy to have a diagnosis, but scared to know I would be living with this disease for the rest of my life. My journey since then has been a long one. I have tried almost all of the available treatments, and have reacted badly to many medications. I was lucky enough to attend camp Got2Go which resulted in life long friendships, and it helped build back my confidence. Now I am in university, and I hope to graduate in three years. I am participating in the Gutsy Walk so more kids can go to camp, and then maybe someday we’ll find a cure. Join us, together we can improve so many lives.